Department of Art | Visiting Artist Will Lamson Thursday January 23rd…Don't Miss It! 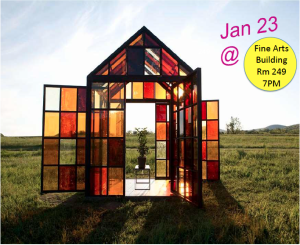 Home » News » Visiting Artist Will Lamson Thursday January 23rd…Don't Miss It! Visiting Artist Will Lamson Thursday January 23rd…Don't Miss It! FSU’s Department of Art is hosting a Visiting Artist Lecture by Will Lamson this Thursday, January 23rd! The lecture will be in the Fine Arts Building in room 249 at 7:00PM.